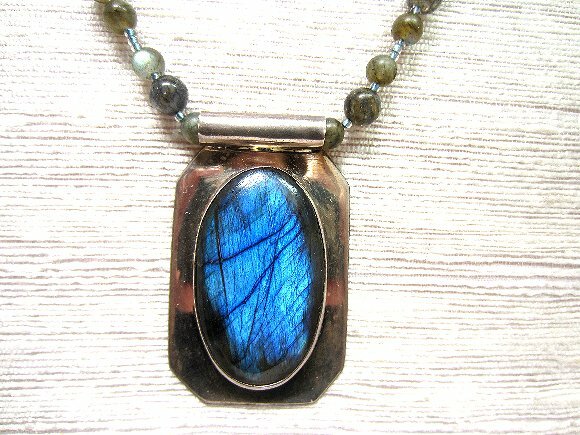 The 40 x 25mm cabochon labradorite stone in the pendant is fantastic quality, and gleams with blue light at almost any angle. 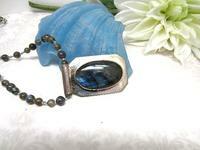 The labradorite cabochon is bezel set in an 8-sided silver pendant that measures approximately 58 x 36mm. I bought the pendant from a reliable dealer who swears that it is sterling silver; however, I can find no hallmark on it anywhere. 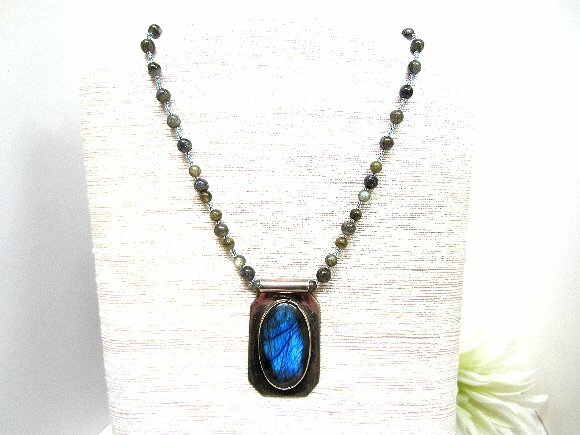 The pendant hangs from about 18-1/2? 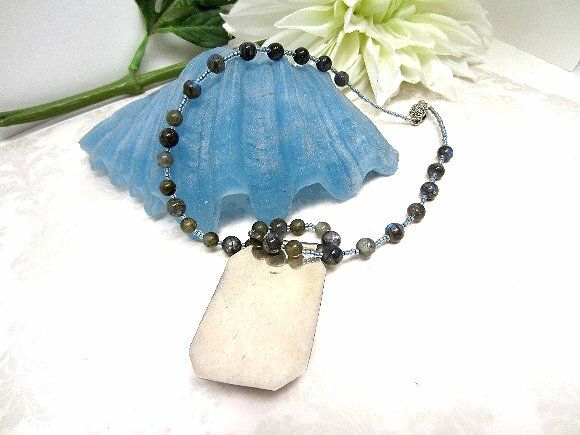 of high-quality labradorite beads spaced with tiny blue-grey seed beads. The strand closes with a lovely, lacy silver box clasp. This champagne quality at a beer price labradorite pendant necklace is brought to you by SPARKLE PLENTY.